Ozomatli is a band adept at blurring lines. They are bilingual, cross-cultural, a mish-mash of genres including samba, merengue, hip-hop, reggae, and more. Even the line between performers and fans becomes blurred during highly interactive shows. The members of Ozomatli have not only become a voice for their native Los Angeles, they are also Cultural Ambassadors for the U.S. State department, traveling the world and promoting politically and socially conscious issues through their music. Ozomatli has a long history of political and social activism. Originally forming as a band to perform at a labor protest in the 1990s, these three-time Grammy winners got their start performing at activist events and fundraisers. Their music has put a spotlight on issues such as gang violence, immigration, and Hurricane Katrina. One of their goals is to create a sustainable inner-city arts program, of which they are a product. 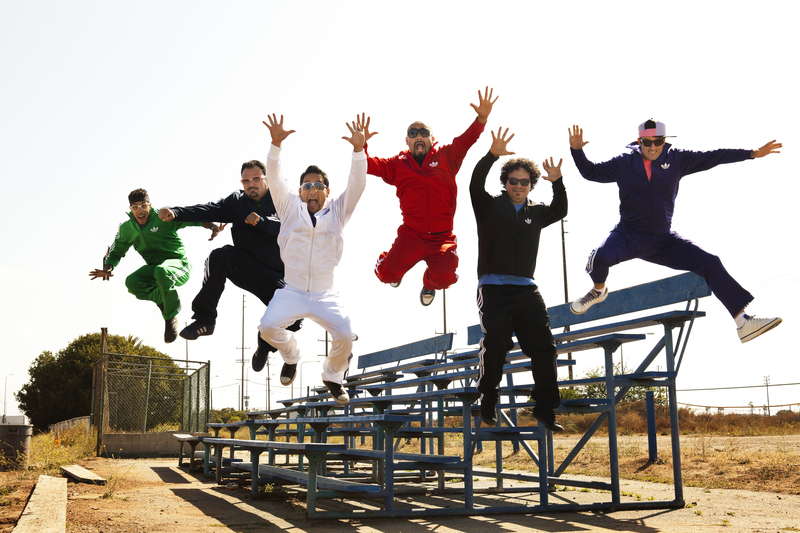 In 2007, Ozomatli’s outreach stretched beyond Los Angeles and became global as they embraced their role as Cultural Ambassadors for the U.S. State Department. They got the opportunity to perform in often-overlooked countries such as China, Nepal, Tunisia, India, Myanmar, Thailand, and Vietnam and participated in extensive humanitarian outreach including HIV/AIDS clinics, orphanages, earthquake aid, and concerts to benefit disadvantaged youth. “Ozomatli has spent 15 years working diligently to spread its message of peace, communication and understanding through music, with a long standing tradition of performing for children all over the world,” their website states, and this September Ozomatli plans to release a new kind of album. Ozomatli is again blurring genres and audiences by releasing “OzoKidz,” an album geared towards kids but still full of their signature social message. The album will include 14 songs that not only appeal to kids, but that adults will find enjoyable as well. Most of the band members are now dads, and they became aware of a growing problem with fans missing shows because they were unable to find babysitters. Combine that with the difficulty finding children’s music that adults enjoyed, too, and Ozomatli had their new challenge. After being approached by PBS Kids and Warner Bros to record songs for video games Elmo’s “Musical Monsterpiece” and “Happy Feet II,” and asked to opened for kid-favorite Yo Gabba Gabba on tour, Ozomatli decided a full-length kids album was possible. They partnered with producer Robert Carranza (Jack Johnson, Mars Volta) and recorded “OzoKidz” at Brushfire Studios in LA. The album is set to be released on September 25.